The AmazonSmile Foundation will donate 0.5% of the purchase price from customers' eligible AmazonSmile purchases to the charitable organizations they select. You will see eligible products marked “Eligible for AmazonSmile donation” on their product detail pages. Friends of SDRC are supporters who give recurring monthly gifts. Monthly gifts are particularly helpful in meeting our regular monthly expenses. You can change or cancel your monthly gift at any time. Monthly gifts help keep Southern Dharma’s daily operations running smoothly. $35 a month pays the electric bill for a staff cabin. $300 a month pays the electric bill for the lodge. $20 a month pays the gas bill to collect the groceries for a retreat. $50 a month makes sure the newsletter goes out. $60 a month helps with the wi-fi expenses. Below is a suggested range of giving levels based on annual income. Planned giving is an expression of dana that can help to ensure the long-term viability of Southern Dharma Retreat Center (SDRC). The mission of Southern Dharma is to create an atmosphere of quiet reflection, within an ecumenical setting, where one can nurture a sense of peace and uncover the truths within the heart. A planned gift to Southern Dharma provides unique and invaluable support and becomes your living legacy to this cultivation of wisdom and compassion. A planned gift can be made for unrestricted purposes, for restricted purposes such as our Legacy Endowment Fund or for some combination of the two. Some of the different forms of planned giving are presented on the following pages, and we hope the following guidelines and examples will be helpful. Please note that this information is general and that tax and inheritance laws vary by state. Through our affiliation with the Community Foundation of Western North Carolina, a nonprofit organization that manages Southern Dharma's endowments, we offer free consultation with planned giving professionals; but for those exploring a planned gift to SDRC, we recommend that you contact your accountant, attorney or financial planner for additional professional guidance. 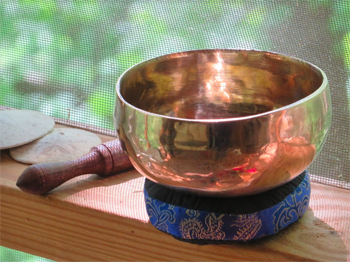 Thank you for considering a planned gift to Southern Dharma Retreat Center. With your help, we can ensure that Southern Dharma will continue its life-changing work for generations to come. Informing us of your decision to make a planned gift helps us in our long-range planning and provides us an opportunity to thank you now for your generosity. What is included in your will is a reflection of what is most valued in your life. By making a will, you ensure that those values are clearly expressed, and that your wishes will be followed by those administering your estate. Also, the taxable portion of your estate is reduced by the value of any charitable bequest to Southern Dharma Retreat Center. A bequest can be made to SDRC by writing a simple addition to an existing will (meeting the legal requirements of the state in which you live). Bequests can take various forms, and we provide a description of each below, along with sample bequest language. The sample language in each example is for unrestricted bequests. A Specific Bequest states a specific amount or asset. It may be a gift of cash, securities, real estate or tangible personal property. 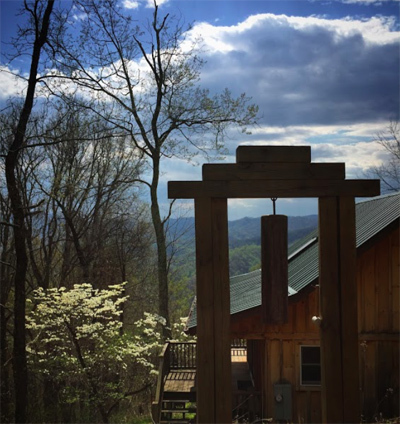 Example: "I give and bequeath (specific dollar amount or accurate description of assets) to Southern Dharma Retreat Center, a tax-exempt 501(c)(3) educational organization located at 1661 West Road, Hot Springs, NC 28743, for its unrestricted use." A Percentage Bequest states a percentage of your estate to be given. Example: "I give and bequeath an amount equal to __% of my estate, as finally determined for federal estate tax purposes, to Southern Dharma Retreat Center, a tax-exempt 501(c)(3) educational organization located at 1661 West Road, Hot Springs, NC 28743, for its unrestricted use." A Residual Bequest bequeaths all or a percentage of the remainder of the estate after specific bequests have been fulfilled. Example: "I give and bequeath all (or 10%) of the residue of my estate to Southern Dharma Retreat Center, a tax-exempt 501(c)(3) educational organization located at 1661 West Road, Hot Springs, NC 28743, for its unrestricted use." A Contingent Bequest takes effect only if a primary beneficiary named in the will predeceases you or if a primary bequest cannot be made. Naming Southern Dharma a contingent beneficiary can prevent the property from going to the state if there are no heirs. Example: "In the event that any of the above-named beneficiaries should predecease me, or that any of the above bequests shall otherwise not be effective, I give and bequeath the amount not successfully transferred to my contingent beneficiary, Southern Dharma Retreat Center, a tax-exempt 501(c)(3) educational organization located at 1661 West Road, Hot Springs, NC 28743, for its unrestricted use." Example: "In the event that the above stated use becomes impracticable, then the said Fund may be used for such other uses and purposes as the Board of Directors of Southern Dharma Retreat Center shall deem necessary and advisable, keeping in mind the intent and goals for which the Fund was originally established." This form of gift is gaining in popularity because of the significant tax benefit involved. Assets from a tax-deferred retirement plan can be a good source of retirement income but are often a poor choice for making gifts to heirs. When such assets are left to an individual they are always subject to income tax and possibly to estate tax. Thus, a child, grandchild, or other beneficiary may receive considerably less than the before-tax value of the gift. If you name Southern Dharma as the beneficiary of some or all of your retirement plan, these assets will be transferred tax-free, leaving for your heirs other assets which are not subject to income taxes. All tax-deferred retirement plans require the participant to name one or more beneficiaries, and making Southern Dharma a beneficiary is easy. Simply fill out a new beneficiary form supplied by the plan's custodian. A gift of life insurance can result in a significant donation at a relatively low cost. Consider making Southern Dharma the beneficiary of an existing policy or purchasing a new policy in which SDRC is named as the beneficiary. If your estate is subject to the estate tax, the amount of the benefit payable to Southern Dharma will constitute a deduction in calculating the tax. All you have to do is file a change of beneficiary form with the insurance company. Appreciated securities, which have been held for more than one year, can make very effective gifts, for the donor as well as for Southern Dharma. The donor is entitled to an income tax deduction equal to the fair market value of the securities. A deduction limited to 30 percent of your Adjusted Gross Income is available, with any excess deduction carried over for a five-year period. Since Southern Dharma does not pay any tax upon selling the securities, it receives their full market value as a gift. These tax advantages make gifts of stock far more effective than gifts of cash obtained through the sale of stock. A life-income gift results in the donor, or a person the donor designates, receiving income for life. After the income-beneficiary dies, Southern Dharma uses the remainder of the gift as intended by the donor. Charitable Gift Annuities, Charitable Remainder Trusts, and Pooled Income Funds are a few examples of this type of gift. There are differences among kinds of life-income gifts, but their common advantage is twofold: income to the donor or a designated beneficiary and favorable tax treatment. These giving vehicles can be a good option for people who would like to make a substantial gift to Southern Dharma but need to keep the associated income for the remainder of their life. Life-income agreements are generally more complex than other types of planned giving, and while we are happy to speak with you about this option, we emphasize the need to get professional assistance. Thank you for your interest in supporting Southern Dharma and for taking the time to explore the benefits of planned giving. Your support will ensure that SDRC will continue to support those seeking solitude and reflection in a supportive environment on the mountain.